I’ve been searching high and low for the perfect bright fuchsia pink shade and when I applied Rio Rush for the first time I knew it was the one. 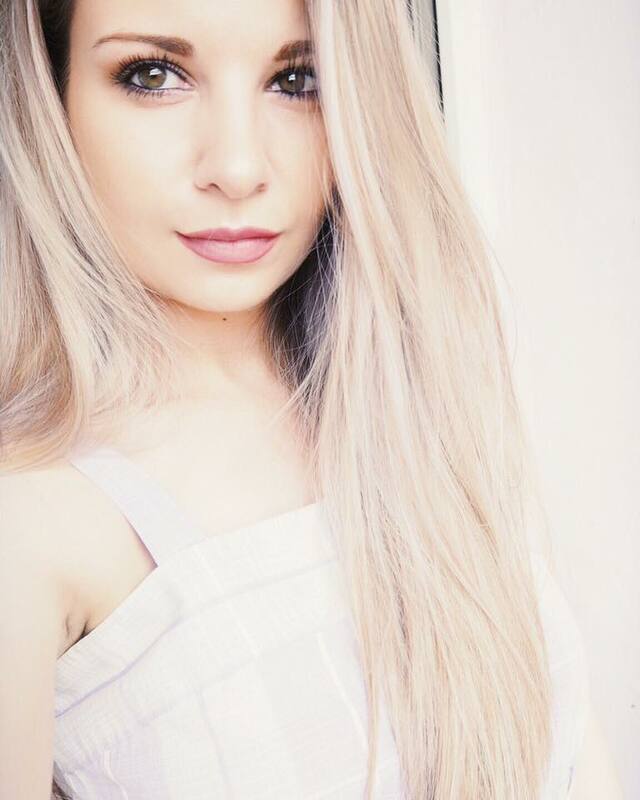 It’s vibrant, it’s bold, it’s fun and unique and the slight cool undertones compliment my skin tone beautifully. It’s summer appropriate and I equally enjoy rocking it during the day or on a night out. Rio Rush is one of those ‘slap on and head out the door’ shades and I adore the way it adds pop of color to my complexion and brightens it up. It is purely brilliant and the luscious, juicy finish is to die for. Revlon really know what they are doing when it comes to creating spectacular lip formulas, don’t they! Do the incredible Lip Butters ring a bell? Well, this time around they proved they could make fantastic lippies in liquid form as well. The new Moisture Stains have the most unique formula and there isn’t anything I could really compare them to. They are hybrid between lipstick, lip gloss and lip balm. I’m not sure about the stain claims though as the product doesn’t actually stain the lips and it’s not the best in terms of longevity, sadly. Apart from that though the formula is on point. The application is a breeze and the cute little applicator makes everything that much easier. It dispenses the perfect amount of color and it hugs every curl of the lips. The product is extremely moisturizing and I’m sure all fellow dry-lipped ladies will be rather happy. Also you get no awkward fading or bleeding in deferent areas. Score! Oh and one last thing - you literally get full-blown, opaque color is just one swipe, which is rare for liquid lip products. My final verdict? The Revlon Moisture Stains are a total people pleaser and Rio Rush has completely stolen my heart. Now, where is my wallet, I need to get my mitts on the rest of the stunning 11 shades haha. 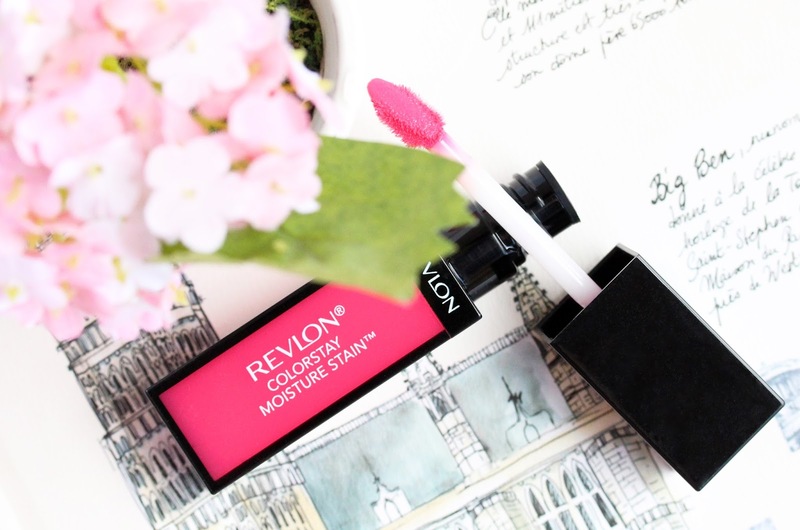 Have you tried the Revlon Colorstay Moisture Stains before? Do you love the look of Rio Rush as much as I do? These look so great I can't wait to try them out!! Such a gorgeous shade, i need to check these out! This is such a summery shade. I haven't seen this is the shops yet. Are they out in the UK? Lovely post! These look great and I can't wait to try them out, such a nice colour too! Oh wow, super sleek packaging alert! These sound fabulous, will definitely keep my eye out for them! Such a beautiful color! I so need to pick this one up next! how I love your photos. The lip stain color looks amazing, hope they will be launched in Romania too. Wow that looks amazing on your lips I can't actually believe how lovely this looks. Usually I find glosses a bit too sticky but this looks absolutely perfect! I sure am tempted! I like their colors. and Revlon always do nice lip products. I might get one tomorrow, as I have a bank appointement and then shopping! Not keen on the packaging though! That is so pretty on you. I need this colour... Loved the photos too! I've heard some really good things about these moisture stains, they look glossy and yet long lasting! Mind-blown! I've heard so much about this product, it's beautiful! Thanks for sharing! I've been eyeing these for a while but just haven't picked one up yet! After reading your review I think picking these up are a must! Thanks for a great post! i've seen so much buzz about these, but i own so many lippies i can't quite justify testing it yet... this color is gorgeous though!! Such a gorgeous shade! A combo of lipstick, lipgloss and lipbalm sounds absolutely fabulous! I can only imagine how lovely it must feel once applied on the lips. I'm definitely one of those lucky girls who constantly suffers from dry lips, so I think this is right up my alley! I have to say that Revlon lip products are probably one of my favorite- drugstore wise. I definitely took a closer look at these moisture stains after I read your post! I've heard so much about them and your review of this particular color made me decide to go out and try one for myself. I got the LA Exclusive color and I really like the formula as well as the pigmentation! Love it! I've yet to own any of these yet because they aren't selling here yet! I'd totally want this shade or a berry one!